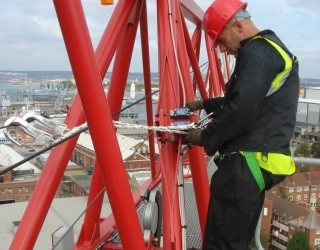 The Safety Assessment Federation (SAFed) is a trade association, which represents the interest of its members in the independent engineering inspection and certification industry in UK and Ireland. SAFed’s primary aim is to promote its members’ competent inspection services, in the statutory inspections of workplace equipment. Full members’ competence is demonstrated through UKAS or INAB accreditation to ISO/IEC 17020, the international standard for inspection bodies. The secondary aim is to reduce accidents caused by unsafe equipment and promote safety in the workplace and where the public have access. Provide a brand reputation for members, which is recognised by the Government, regulatory authorities, industry, brokers and professional institutions in the provision of quality inspection and certification services. Provide a network to the enforcement authorities (HSE/LA/HSA), Better Regulation Delivery Office and other Government departments (BEIS/DEFRA/DfT etc) to establish and recognise industry best practice. SAFed works with the Government departments and authorities to seek clarification of interpretation and compliance issues. Support for members involved, directly or otherwise, in ‘client’ investigations and notably where SAFed guidance and industry best practice has been followed. Represents the industry and members interests to Accreditation bodies (UKAS and INAB), Standards organisations (ISO, CEN, BSI and NSAI) and other compliance authorities/agencies. Markets and promotes SAFed membership to industry as having high standards, working to recognised guidelines and industry best practice in consultation with the HSE and other relevant Trade Associations and enjoying an unparalleled status recognised and preferred by brokers, major industry players and client base. Providing a basis for recognition between member companies, including acceptance of inspection reports and standards of service etc, inspection services and contract exit protocols. Provides representation to the Competition and Markets Authority where SAFed members are unreasonably restrained from trade by other parties. Works with the engineering professional institutions to ensure the SAFed competence criteria is accepted by these and the Engineering Council/Engineers Ireland for member company employees (engineer surveyors) to gain professional registration. Includes a link to SAFed member website from the SAFed website and allows use of the SAFed logo on member documentation. Promoting the value of impartiality through independence of inspection from other equipment associated service provision e.g. repair, maintenance, and manufacture and integrity from conflicting commercial interests and those companies who carry out both. Including membership to the European Confederation of Control, Inspection and Prevention Organisations (CEOC) as part of SAFed membership and representation at the Trade Association Forum. Providing a liaison and communication service to member companies on relevant national, European and international technical and inspection information on all aspects of safety assessment and certification. Providing information on the publication of Approved Codes of Practice, HSE Safety Bulletins, Standards, Industry Guidance including the publication of SAFed Guidelines and Guidance to meet the needs of further technical clarification. Provision of information sheets and relevant amendments and updates either free or at a substantially discounted price. Providing an advice line to members and a members’ forum to contribute, discuss, and input views on relevant issues. In addition to allow the sharing of health and safety information between members. Providing an established relationship with BEIS, HSE, BSI and as a member of both UKAS and CEOC to represent members’ interests. Authorises the use of Welding Certificates, ratified by SAFed and CEOC, by member companies and these have acceptability across Europe. Advises SAFed members of emerging technology and potential commercial activity, working with the relevant industry sector to ensure the industry interests are assured. Promotes the industry and its member’s interests to Parliament, Select Committees and All Party Groups on the issues of safety, engineering inspections and general environmental issues. Provides a working relationship to other industry stakeholders and their trade associations eg LEIA (Lifts & Escalators), BITA & FLTA (Fork Lift Trucks), CEA (Construction Equipment), CEA (Combustion Engineers), Renewable UK (Wind/Solar Energy), GEA (Garage Equipment), CIC (Construction Industry) and many others as a member of the Trade Association Forum through the CBI. Provides industry guidance and best practice, working with the HSE and HSA, which has significant credibility and is widely adopted within UK and Ireland.